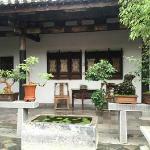 Tingziyun is set in a quiet alley of Jianshui ancient town. It's just a few minutes walk to the center of town where you can find various restaurants and try the super delicious Jianshui tofu. Many of the town's attractions are walking distance to TZY. It's the perfect base for exploring this very interesting town. We stayed in the new building in the cheaper rooms (about $100 USD). 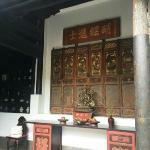 They were beautifully appointed with Chinese style decor that matched the feeling of the buildings. 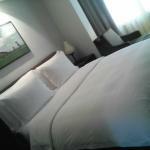 The bed was very comfortable and relatively soft. The bathrooms were extremely clean and came with lots of toiletries. 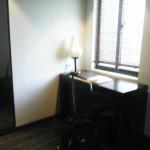 We also visited some of the more expensive rooms (about $300 USD). They are appointed in the exact same style decor, but have a lot more space. However, you can still only sleep 2 people in them. I think the larger rooms that are in the old buildings are a bit overpriced, especially considering you're in rural China. The service here was fantastic. We speak Mandarin so there was no language gap. I can definite see some issues if you don't speak Mandarin. However, they are very patient and very kind. If you have communications issues, I would suggest writing down your request. Sometimes people are better able to understand written English. Our room rate included breakfast. It is served in a cute dining room near the front of the property. They served a variety of Chinese dishes including steamed buns, porridge, rice noodles, tofu, and soy milk. It was wonderful being able to try the various traditional Chinese breakfast dishes. There is little western options. However, they do make a decent coffee. The room came with a bit of local fruit (loquat), local tea, and a whole tea serving set. It was wonderful being able to sample some Pu'er right in our rooms. In the evening, they also provided a free Chinese style dessert soup. The staff was so kind and patient. They always smile and greet you when they walk by you. We had such a fantastic stay at TZY. 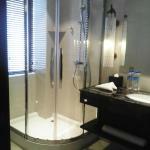 They are setting a very high bar for B&B's in China. I would love to stay there again, except I don't think I'll be visiting Jianshui anytime soon. My family loved our weekend getaway to Jianshui. 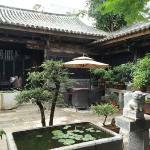 The Tingziyun Resort is perfectly situated in the heart of the City, a short walk to all the major sights. 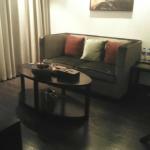 The rooms are unbelievably nice for rural China. The bed was so comfortable we slept like babies. An excellent breakfast is included in the room price. The courtyard layout meant just hanging out at the hotel was fun. And the service was truly excellent, not just for China. One point though; no English speakers. If you do not speak at least some Mandarin this may not be the place for you. Newly opened beautiful hotel in the middle of an old bustling city. comfortable, super clean, new, modern and luxurious property. Great service, excellent location, amazingly friendly staff. Good breakfast by chinese standards. Value for money. Highly recommended!!! !